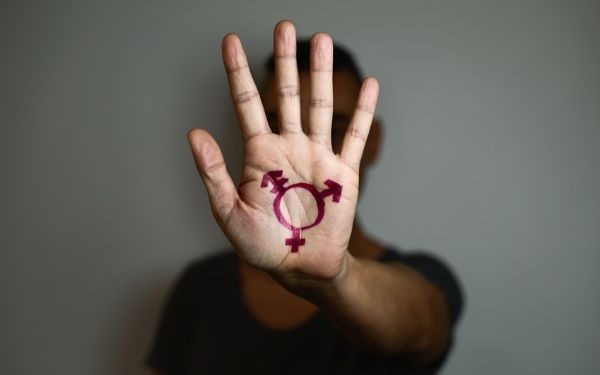 A recent report commissioned by the Department for Education highlighted transgender awareness as ‘an area in need of development’ across the social work profession and noted some evidence of social workers behaving in a ‘prejudicial manner’. A new CoramBAAF publication aims to help social workers understand and address these key issues when assessing and supporting transgender foster carers and adopters. We recognise many social workers will not be familiar with – or have thought in any depth about – transgender issues. The practice note begins with an exploration of the terminology and the thinking that underpins that terminology. It also sets the issues addressed in the Equality Act 2010 and the Gender Recognition Act 2004, and reminds social workers of their equality and diversity responsibilities vis-à-vis the Health and Care Professions Council standards of proficiency. A short bibliography is provided with details of helpful resources and organisations. Wherever possible, recruitment and preparation materials should take a non-binary approach in order to avoid gender stereotyping and risking transgender applicants feeling excluded. So, it could be that the phrase ‘we welcome applications from men and women’ could become ‘we welcome applications from people, whatever their gender’. Use inclusive gender neutral language wherever possible in written materials. Individuals should be asked about their preferred pronouns and their wishes and feelings in this regard must be respected. Confidentiality and privacy are important. They must be addressed with applicants at the outset so that they understand and consent to their information being shared with panel members and others involved in the assessment and approval process. Use assessment materials that work well for transgender applicants. The CoramBAAF assessment forms (PAR and Form F) and accompanying notes have recently been revised to ensure that this is so. This includes people being asked to describe their gender, rather than being offered ‘male’ or ‘female’ options, and a question specifically about whether they identify as ‘transgender’. Ask open questions that facilitate applicants defining their gender identity. Demonstrate that you ‘value and accept’ rather than merely ‘tolerate’ a person’s transgender status. This will contribute to developing an effective working partnership between the assessor and person being assessed. Don’t make assumptions or have fixed views about what is ‘normal’ for transgender people. If you don’t understand something, then ask. Reflect carefully on your own biases and challenge your own thinking. Make use of supervision and encourage your supervisor to help you with this. Be professionally curious, as you would be with any assessment, but do this respectfully. It is important to get the balance between not avoiding difficult conversations, while at the same time respecting privacy in relation to personal details or experiences that are not relevant. Undertake all checks as rigorously as you would for any applicant, but always taking account of privacy, confidentiality and consent, as with any person you work with. Remember that what matters most with prospective foster carers or adopters is their parenting capacity. We know from research and practice that the most important attributes of carers are unrelated to their gender or sexuality. Understand the impact of oppression on the lives of transgender applicants that in many cases may have been extreme. This might mean that they are estranged from parents and family making it inappropriate to seek references from these people, or might mean that support networks are smaller and closely linked with LGBT+ communities. Be careful not to over-emphasise the potential for fostered or adopted children to be bullied because they have transgender parents. Gay and lesbian parents have shown this can be managed, and many transgender individuals have demonstrated adaptability and resilience in the face of bullying, which can be seen as strengths. Ensure that members of adoption and fostering panels are trained and supported to make fair and balanced judgements in relation to transgender applicants. Be clear that applicants are not expected to answer general questions about trans parenting, and provide the same sort of preparation and support as might be offered to other applicants. Ensure that good support is available to approved adopters and foster carers, but don’t make assumptions about what that might look like. Some carers might value support from LGBT+ groups, others will not. Make sure that your agency or service has good anti-oppressive policies and procedures in place for working effectively with transgender foster carers and adopters. Paul Adams is fostering development consultant at CoramBAAF and one of the authors of the new guide to supporting transgender foster carers and adopters. It was also authored by Claire Brown, a social worker writing a PhD on trans experiences of adoption and fostering, and Charlotte Andrew, youth and community engagement manager for Three Circles Fostering, who runs an LGBT youth in care group in Manchester.